As many as 3,236 aspirants across the country were overjoyed to know that they had been selected for the final round of interviews for 1,108 posts in the Ministry of Rural Development and Panchayati Raj. Their dreams of securing a government job, however, were shattered when they realised that they were victims of a nation-wide fraud. 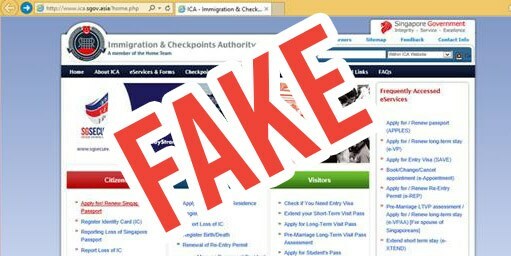 Reportedly, a website had invited online applications for 1,108 vacant posts for multi tasking staff, billing clerks, computer technical data entry operators, and other designations. Sources said the aspirants were charged Rs 3,000 per head for the interview. But in fact, the ministry had neither set up the website nor given any such advertisement. The CBI registered a case under various sections of the Information and Technology Act and the Indian Penal Code (IPC) against the unknown accused on October 5, and has blocked the website. The fraud came to light only when some political leaders started calling up top officials, to recommend some of the influential aspirants. Sources said officials were surprised when politicians in states started calling up Minister of Rural Development and Panchayati Raj Narendra Singh Tomar, requesting him to “take care” of their candidates. The lid was finally blown off the racket on August 24 this year, when one of the job aspirants, Sudesh Kumar from Banka in Bihar, wrote a mail to Tomar and his personal secretary Navneet Mohan Kothari, inquiring whether the ministry was charging money for the interviews. A surprised Tomar asked Kothari and his Additional Secretary Arun Kumar about the issue. The officials checked with Rural Development Secretary Amarjeet Sinha, only to find out that there were no such vacancies. In the mail to the minister, Kumar had said: “Sir, I have applied for a post under the National Department of Land Reform in India (NDLRI). They are asking for money for an interview. We are confused whether this is a fake site.” He also attached his admit card. When checked, it was found out that not only was there no such vacancy but even the department mentioned did not exist. Further inquiry revealed that a website had been created in the name of Ministry of Rural Development and Panchayati Raj, which had all the details about the ministry and the minister.